The process of iron casting has been around for about 2,000 years, and over the last 50 years, Willman has perfected it. 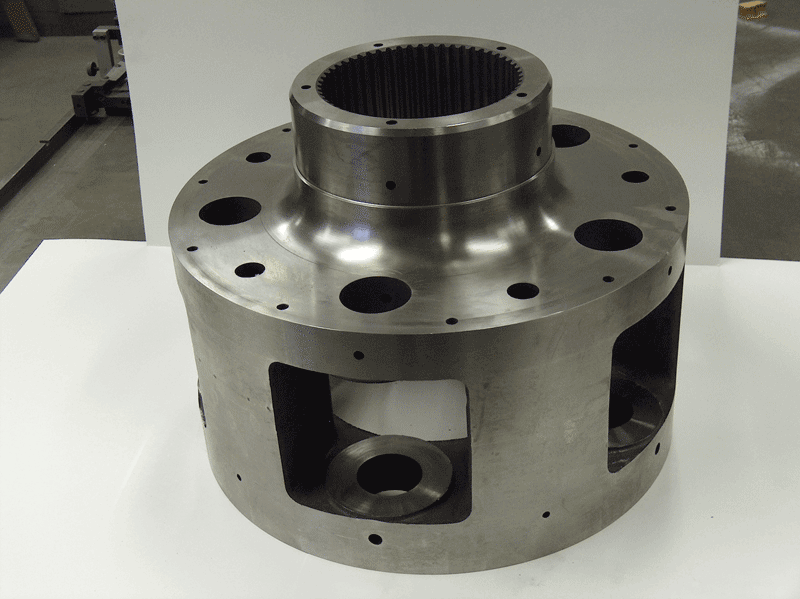 You choose castings because of the superior performance they provide for a low cost, and you choose Willman Industries to cast your products with high quality at an acceptable price. Why Choose Ductile Iron Castings? If you are reading this page, you likely already know castings are a superior way to manufacture intricate parts when compared to machining or fabricating. Fabricating is good when you have mostly flat pieces and a relatively simple design, but with more complicated designs, by the time you are done cutting, forming, welding, and possibly even hardening after that, fabricating can be very expensive. Machining an intricate design from a block of steal is extremely expensive and often worthwhile if you are making a small part only once, and sometimes not even then. It often makes no sense to machine parts from scratch. With the relative low cost of castings added to the ability to make complex parts, an engineer can have greater flexibility in design, allowing you to design to the need and not the limitations of fabrications. More metal can be added to stress points, metal can be removed from areas without stress to save on material costs and weight, and cross sections can be added to reduce stress load. Iron castings give you strong, durable castings for a lower cost than any other metal. Alloys allow you to have a great range of flexibility in the functionality of the part, whether you want more strength, more wear resistance, impact resistance, or whatever your need might be. With the options for strengthening the iron, you can have extremely strong castings with less material, even compared to a couple of decades ago. Processes such as Meehanite, ADI, and solution strengthened castings give several different options to give your castings the performance they need. You only need to match your needs to what will be your least expensive hardening option. Why Choose Willman Industries for Your Ductile Iron Castings? Not only do we keep high standards of quality, but Willman is financially stable and debt free. That means a lot when you rely on receiving your castings on a timely basis. If your current supplier goes bankrupt, it could be weeks or months before you get your tooling back and even then, those tools might be held captive until you pay the creditors for the tooling you have already paid for! In an industry that is seeing many foundries close every year, you cannot afford to have a supplier close its doors leaving you without the parts you need. Get high quality, security, and fair prices from an industry leader in ductile iron castings.